This is for every teacher who refuses to be blamed for the failure of our society to erase poverty and inequality, and refuses to accept assessments, tests and evaluations imposed by those who have contempt for real teaching and learning. What Happened to Cursive Handwriting? When my mother went to 1st grade in the 1930s, she was taught to write in cursive. She had not gone to kindergarten, as it was not widely available yet. Early childhood programs were not common either so when she walked into that 1st grade classroom, this was her first school experience. My grandmother told me years later that it was thought to be very up to date to teach cursive handwriting and not manuscript. She was very excited to see my mother, her oldest child, receive such a progressive education. My mother grew up to become a legal secretary who knew shorthand and she was the fastest typist I have ever seen. She also had absolutely beautiful handwriting. Years later when I was in the 2nd grade, I announced to my family that I wanted to be a teacher when I grew up. My mother said that was a good thing because she needed to learn to print and I could teach her. There were often forms for school that my sisters or I needed to have our parents complete and my mother was unable to fill them out because she had never learned to print. So that evening, my mother and I sat down at the dining room table with a Big Chief tablet and I tried to teach her to print the letters of the alphabet. After a few frustrating tutoring sessions, I figured out that teaching wasn’t as easy as I had thought. My mother and I finally decided to work on printing only the capital letters. So for the rest of her life, anytime she had to print she did so in all caps. When I was in elementary school, we were taught to print in kindergarten. I can still remember how hard it was. At the end of 1st grade I was still struggling. I realize now that my fine motor development was just a bit behind my peers. But as a 1st grader, I was very frustrated by how difficult it was to make the letters on my paper look as nice as the ones my teacher modeled on the chalkboard. My teacher was also concerned and suggested to my parents that I repeat 1st grade because I was struggling with handwriting. They insisted that wasn’t a good reason to hold me back, besides I could read and I was pretty good at math so the school reluctantly let me go on to 2nd grade, where I eventually mastered the art of printing in manuscript. The transition to cursive which they taught us in 3rd grade was easy. The memories of my struggle to learn to print were fresh and I was motivated to master cursive and be better at it than anyone else in my class. The added bonus was we were allowed to use fountain pens when our teachers decided we could write in cursive. So I spent literally hours at night after I finished my homework practicing the cursive alphabet. By the time I was in 5th grade, my teacher let me write the homework assignments on the board every day because I had such good handwriting. When I was in high school and college, note taking in class was simple for me because I had spent so many hours perfecting my cursive handwriting. In my elementary teacher classes in college, we had to show competency in every subject taught in elementary school. I aced the handwriting test. By the time I became an elementary teacher, the standard practice for teaching handwriting was pretty much the same as when I had been a student. Teach printing in the early grades, start them on cursive in 3rd grade and then perfect that skill in 4th grade. When computers were first brought into our classrooms, teachers talked about the need to add keyboarding to the skills we taught our kids. But we never imagined that we would some day not teach the children to write in cursive. As computers became more of a fixture in education, we spent less time teaching any handwriting. School districts stopped buying handwriting materials. Then No Child Left Behind mandated an obsession with standardized testing of Reading and Math and we stopped teaching cursive handwriting. There was no time for it in our busy test focused schedule. When Common Core Standards were brought to us, I don’t believe any elementary teacher was surprised that there was no mention of handwriting in the standards. Many of us were disappointed, but few expected cursive to be included. But was this really a good decision? I remembered learning in college that fine motor skill development was an important process for children. I also remembered my struggles to learn to write and wondered if my own academic skill development may have been different if I had never been taught to write in cursive. I had so many questions. Didn’t our children need to learn to sign their names? Would they never need to write anything down? What about reading historical documents written in cursive? Or family letters? I was looking at family pictures not long ago and my father had taken the time to write the date and names of everyone on the back of each picture. In cursive. What if my own children, grandchildren, and great grandchildren were unable to read what my father had written because they had never learned cursive writing? The need for this skill went beyond the importance of writing fast so you could take notes in a class. In order to know our own history, we needed to know how to write and read in cursive. Do your students know how to write in cursive? Do your students know how to read cursive handwriting? Do you think your students should learn cursive writing? Do you teach cursive writing? Is cursive writing a part of your district curriculum? Have any of your students asked you to teach them to write in cursive? Overwhelmingly, the teachers responded that their students could not write in cursive and they do not teach it but believe it should be taught. “I believe the tactile learning of the letters again helps with development in other areas. My research led to a surprising find. There is not much research into cursive writing and its importance (or not) in our school curriculum. It was never a controversial topic in education. The debate was about Zaner Bloser versus D’Nealian. We didn’t talk about not teaching cursive at all. Then all of a sudden, it was just gone. But why? And why was no one concerned? I did find that in 2013, researchers at Princeton and UCLA reported that “even when laptops are used solely to take notes, they may still be impairing learning because their use results in shallower processing.” In three studies, they found that “students who took notes on laptops performed worse on conceptual questions than students who took notes longhand.” They noted that since typing is faster, students tended to take more notes but when taking notes by hand, they were forced to condense the information and note only key points, which is a better and more efficient way to learn new material. A professor at the University of Washington found that elementary students wrote more words, wrote faster and expressed more original thoughts when they wrote by hand than when they used a keyboard. These studies validate what I have told my students for years. When you write, you are sending and receiving messages to and from your brain. I teach students with specific learning disabilities. Handwriting can be very difficult for many of them. Putting words and thoughts on paper is also difficult for most of my students. Many struggled to learn to write in manuscript and are reluctant to learn cursive. So most of them print. Many adults who were diagnosed as having learning disabilities as children have never mastered cursive writing. Special education teachers applauded the plan to teach keyboarding skills to these students. But now I wonder if we should have tried harder to teach them to write in cursive. That whole brain connection thing seems kind of important now. Turn on the TV, open a magazine or look at a website on the internet. Cursive is still very much a part of our culture. And cursive has been part of our culture for a long time. Fortunately, in Missouri, after the state legislature banned Common Core in our schools, the state department of education in April, 2016 decided to add cursive handwriting to the English Language Arts standards in 2nd and 3rd grade. So under the new Missouri Learning Standards, our children will be learning to read and write cursive. Is cursive handwriting an essential skill? Most of the teachers I surveyed feel that it is. Researchers have connected the use of cursive writing to increased learning outcomes. So what happened to cursive handwriting? Most elementary classrooms don’t even have cursive alphabets on the wall anymore. The excitement of bringing technology into our classrooms and the need to teach kids to type pushed cursive writing to the side. No Child Left Behind led to a test prep take over of our lesson plans, leaving no time for cursive handwriting The Common Core State Standards ignored handwriting entirely. The result is a generation of children who can type better than we ever imagined they would, but they can’t sign their names. Was eliminating cursive handwriting a good idea? I believe most teachers think cursive is an essential skill and want to see it returned to our elementary classrooms. Has Missouri done the right thing by bringing cursive back? We will find out soon enough. Should students be required to learn cursive handwriting? Should schools stop teaching cursive writing? My Kids Take the Test So That They Learn Not to Back Down from a Challenge! The above title is what parents who choose to opt in to testing sometimes say to parents who choose to opt out. Here is a response from Jeanette Deutermann, founder of Long Island Opt Out. Our children will take hundreds of age appropriate tests throughout their lifetime. They will be fully prepared to take appropriate tests. Our children will be and are challenged on a daily basis. Sports, social challenges, challenges in the classrooms. These assessments go beyond a challenge and represent a narrative of failure. There are appropriate challenges, in which children prepare for, work towards, and have the ability to master once they have successfully worked long enough. This is not THAT. Many children will fail these assessments over and over each and every year with no hope of ever achieving "mastery" because they were not designed that way. A cut score and percentage of failure is designated before the administration. Think of it like teaching your child to ride a bike with flat tires and bent wheels. Could there be a possibility of mastery on that bike? Most likely not. Will the child learn anything from attempting to ride it? Yes they will learn to give up. They will decide that riding a bike will never be fun or worth the effort because they will never feel the joy of success. Learning, especially for children as young as 8, should not be something that introduces unyielding struggle, unattainable goals, and repeated and chronic failure. To be a life long learner, a child must have the stage set early to see the joy of discovery, the joy of success, and learning without the crushing fear of failing. When sitting for 6 days, there is no way to tell the child, "just do your best it doesn't matter what your score is." They know it's a test and they know there is pressure to perform, and they know the teacher and parents want them to do well on it. They recognize when they just aren't able to understand the test questions. For many children this is a negative experience that will color their views of school for years to come. They still want a challenge? Buy the kid some stilts. Seven education advocacy groups with members in the Willamette Valley and across the state have written an open letter in response to a recent letter from superintendents in five Oregon school districts asking Oregon to end participation in the Smarter Balanced Assessment. Read their letter below. Also find linked the original letter from superintendents. The following organizations stand behind the request made by Oregon superintendents in their letter to Oregon’s Chief Education Officer Lindsey Capps and Deputy Superintendent Salam Noor to reconsider the use of the Smarter Balanced Assessment in Oregon schools. We are a broad coalition in support of these statements made by these district leaders. We may not all agree on every detail, but we agree that it is past time for us to have a discussion about what we as Oregonians want for our children. Let’s not waste this opportunity. We encourage public involvement and participation in this process. The Oregon Department of Education is holding public meetings around the state to “Reimagine Education” in Oregon. Please attend when they come to your area. 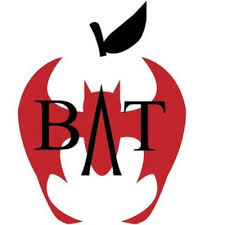 In the meantime, we continue to believe that a moratorium should be placed on SBAC. This assessment is clearly not good for our schools. Read the original superintendents’ letter here. Find the schedule of ODE public meetings here. Q: Is it possible to ensure educational accountability without giving standardized tests? A: Not only is it possible, it is necessary. In fact, we will never have accountability while we continue giving standardized tests. This is the irony of modern education policy. High stakes testing is seen as the only tool that can ensure schools operate correctly when in reality it is the very thing that blocks true responsibility. Pundits and policymakers cry crocodile tears as they draw up elaborate ways to punish teachers and students for low test scores. Meanwhile they ignore some of the most basic facts about how education works. FACT: Students and teachers are not the only factors. FACT: Students and teachers don’t decide how much funding their schools get. FACT: Students and teachers don’t get to decide education policy. FACT: An education system is made up of a complex interplay of several interconnected factors that include parents, the community, the economy, culture, media, and local, state and federal governments. FACT: High stakes testing ensures that teachers and students are held accountable for the entire education system including the vast majority of factors beyond their control. So let’s stop pretending that standardized tests hold schools accountable. They don’t. They just point the finger without offering anything to help. True accountability would be about diagnosing problems so we can fix them, not trying to fire your way to the top. When you break your arm, the doctor doesn’t immediately suggest you chop it off. He sets the bone and puts it in a cast and sling so it can heal. When it comes to true accountability, we need to look beyond the school at all the factors involved. We also need to look to the legislature, the taxpayers, parents, the community, the media, and all stake holders. However, this does not mean there are no ways to assess if schools, superintendents, administrators, teachers, and students are doing a good job. In fact, it’s not even difficult to achieve. 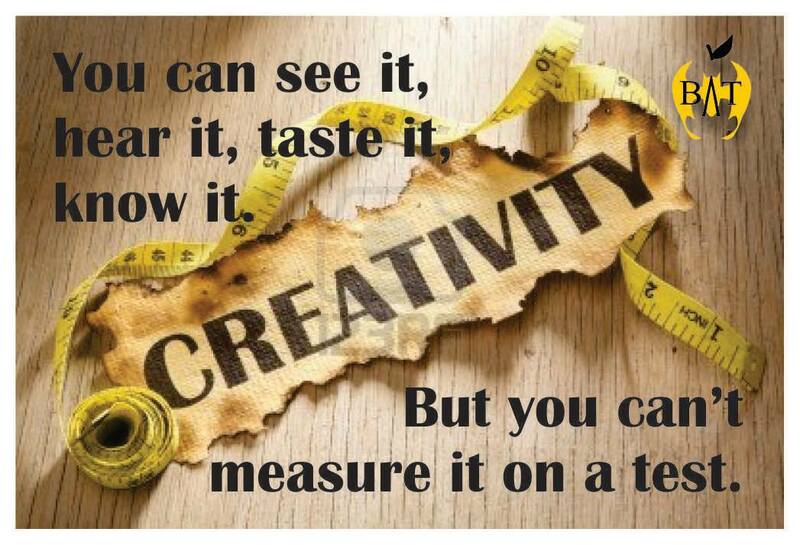 And we don’t need a single standardized test to do it. We need a two-pronged approach. We must assess student learning, but we also must assess the adequacy of school funding, where it’s going and where it needs to go. These measures are most often ignored in accountability discussions. When it comes to adequate funding, we usually blame the poor for being unable to provide for their children. And since many states allocate education funding based largely on local property taxes, we have rich schools with oodles of cash and poor schools that are falling over. True accountability would ensure all students – both rich and poor – start from an equal playing field. When society neglects this, it is society that is failing, not poor children. When it comes to how funding is spent, we either throw up our hands that there’s no way to evaluate school funding or we pretend that school directors will be transparent just because. Both are untrue. I still believe that local control is the best way to ensure true accountability. When school directors are not elected but appointed– as they are in charter schools – there is no reason to spend wisely. In fact, the laws are set up to shield charter school boards from having to show the community how they are spending taxpayer money. And since most are set up for-profit, there is an incentive to reduce services for students while keeping the saving as profit for themselves and their shareholders. When school boards are elected and are required to hold deliberations in public, accountability is built in. Voters decide who gets to make decisions and if those decisions made in the light of day are in the best interests of their children. Moreover, elected school directors who come from the community have an incentive to make that community in which they live the best it can be and to provide the best quality education they can. This isn’t to say that elected school boards are perfect. They are made up of human beings and are therefore fallible. You don’t have to go far to find local school directors who try to deliberate important decisions in private without notifying the public, circumvent the bidding process, make backroom deals, etc. But there are ways to hold them and the community accountable for providing a quality education. California has come up with an ingenious plan. For the second year, the Golden State has been engaged in a bold experiment. Policymakers have initiated a new K-12 finance system: the Local Control Funding Formula (LCFF) and the Local Control Accountability Plans (LCAPs) that go with it. Basically, California public schools use multiple-indicators to determine where funding needs to go and how to hold schools accountable for spending it wisely. It’s not perfect. It certainly has some bugs in it, and I do NOT recommend we simply extend the program nationwide as is. For instance, the program still uses standardized testing as one of many multiple measures of success. This is better than having testing be the sole measure or even the most important one. But – as you shall see – we can do better. Basic services such as equipped classrooms, qualified teachers, textbooks and materials. It is essential to know if these needs are being met so we can budget accordingly. If funding is lacking, assessing the deficiency in this way helps make the argument for an increase of cash. Implementation of District Created Standards for all students, including English Learners (ELs). California specifically denotes Common Core standards here. I think that is a mistake. Accepting wholesale a set of unproven standards made by non-educators who have never been inside a district building or in front of a classroom is a recipe for disaster. Instead, teachers in each district should develop their own standards and then test whether they are achieving their goal. Many policymakers are in love with the idea of national standardsbut that’s like suggesting all restaurants must have some version of the McDonalds value menu. Standards should be locally developed to meet the needs of real students not idealized ones. Parental Involvement. This simply cannot be ignored. Schools need to know if parents are invested in the district, and if not, administrators and faculty need to work to find ways to bring them in. Schools can institute family game nights, community picnics, parent-teacher nights with food and babysitting services. No school can ever achieve greatness without parents. We must find ways to increase involvement where it is lacking and encourage increased involvement where it is present at all. We must work to make parents feel welcome and make them a part of the decision-making process for school activities and functions. Student Achievement as measured by district assessments, English Learner reclassification to fluency, and other criteria. California includes Common-core aligned standardized tests in this area. I think this is a mistake and that we can find better assessments here. I’ll return to this in a moment. Student Engagement determined by rates of attendance and absenteeism, dropout rates, and graduation. We must gauge how well students are buying into what the school has to offer. And if it is lacking, we must take steps to improve it. Schools shouldn’t just provide a prepackaged product. They should actively engage students and provide classes and services suited to their needs. Student engagement is one way to determine if schools are successfully doing that. School Climate evident in rates of suspension and expulsion, as well as other locally-identified measures. Discipline is very important but must be conducted judiciously. It must be fair and not unduly harsh. It must serve the purpose of improving academic outcomes. Moreover, we need to make sure there are no racial or cultural biases at work – even if they are unconscious. We want tocreate an inviting atmosphere, not a stepping stone to the prison system. Access to a Broad Curriculum evident through student enrollment across grade levels and subject areas. We know high stakes testing narrows the curriculum. We must work to actively broaden the curriculum and offer students a wide range of classes to maximize their educational experience. This includes arts, music, foreign languages and extra curricular activities. If we don’t have the funds to make that happen, what better tool to help argue for an increase than a detailed account of what’s missing and why it’s important? Other Student Outcomes as identified locally, which may include locally chosen tests and assessments. This could include participation in AP exams, college courses, etc. No accountability system would be complete without an “Other” category. Districts should be free to customize to meet the needs of students, parents and the community. Which brings us back to testing. We’ve got to have it. There must be some way to assess student learning. But we needn’t resort to money-making corporate products. Teachers have been creating tests since the beginning of time. No one ever thought there was anything wrong with that until giant corporations discovered they could make huge profits selling us their standardized assessments. We need to trust teachers again to assess as they see fit. But we can do more than that. We can have district-wide assessments systems that are not standardized – that are personalized – yet comparable across the district. Schools around the country are incorporating direct demonstrations of student learning into their assessment programs. These include projects, individual and group presentations, reports, papers and portfolios of work collected over time. These provide much more accurate reflections of student learning than snapshot tests developed far from the classroom. Moreover, if properly coordinated by departments and administrators, these assessments are comparable across the district. The New York Performance Standards Consortium is leading the way. It consists of 28 schools, including grades 6-12, throughout the state that rely on these teacher-created assessments to the exclusion of standardized tests. And the results have been tremendous! These public schools have higher graduation rates and better college-retention rates, while serving a population similar to that of other urban schools. We say we’re looking for innovations that work. This is it! Just imagine a school that used such an accountability system. It would have a plethora of data about what’s working, what isn’t working and what needs to be done to correct deficiencies. We forget that accountability systems show our values. 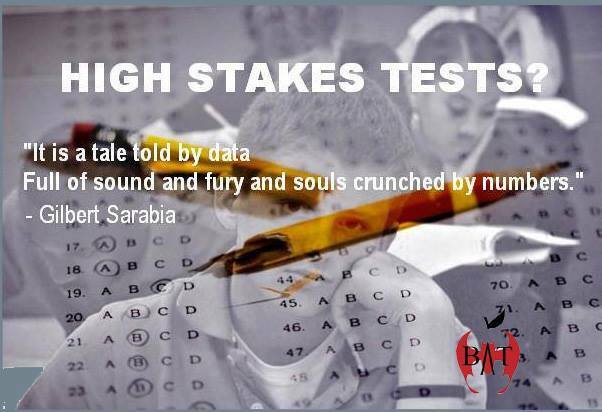 High stakes testing pretends that the only thing that matters is the results of a standardized test. Nothing could be farther from the truth. A system like the one I’ve described would ensure every student receives a robust education that is assessed fairly. It would invigorate children, parents and the community. And when students graduate from such a school, they would be prepared for whatever comes next. Moreover, there’s not a single standardized test necessary in the whole system! Our policymakers need to start thinking along these lines. These aren’t pie in the sky suggestions. Most of these ideas already have been tested and proven effective. Can real accountability exist without standardized tests? Yes. That’s the only way it can. Who is Tom Vander Ark? I have for fifteen months now, tried to find a way to condense the reply to this question. Viciously I find myself overwhelmed with the information I would need to give in order to answer fully. And, yet, I feel compelled to find a way. I believe that he is all that is EDUCATION REFORM. He is the Father of this Era in Education when we see so many billions upon billions of dollars being stolen from the public sectors and stored in greedy private sector lofts high above the true needs of the children and their communities. He is a finance engineer. (In my eyes the greediest prick ever, and that is with great refraining that I type.) He has engineered the end of education in an obsessed, almost militant, and yes, intelligent manner. He landed an opportunity to be the Superintendent of Federal Way Schools in Washington State for five years in 1994. Thus, his claim to be one of, if not the first, businessman to run a school district. That half of a decade of experience evidently was enough education experience for Bill Gates to place him in charge of his newly formed Gates Education Foundation in 1999. He did that for about 5 years also. From there he diabolically disrupted and destroyed forever, public education as we know it. He is the corrupt Charter movement. He is the online education movement. He is NASCA. He is Next Generation Learning. He is MindTrust. He is iNACOL (the education policy-making arm of ALEC). He is the teacher exodus. He is VAM. He is school closings. He is #SmartParents, #SmartCities, #SmartStates and author of the book and blog Getting Smart. He is Competency Based Education. He is RTTT. He is DFER. He is Blended Learning. He is personalized portfolios. He is digitalized backpacks. He is small schools within schools. He is the fight against unions. He is the fight against local school boards. 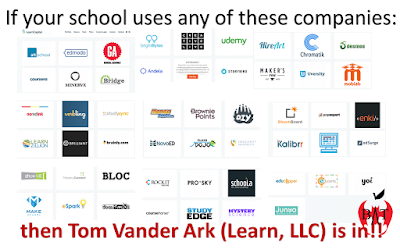 He is software companies galore under non-profit headings everywhere (see Learn, LLC pic below for some of such)! He is the (expensive) professional development pushes. He is the lobbying. He is the dreadful data-collection surge. Local school boards to State and National level boards and even unto International heights, he is pervasively present and prolifically pandering. I could go on and on and every word I have typed so far could be a link. I stumbled upon his name with a seemingly insignificant tweet from one public school in Ohio. And from that point I fell into the deepest radioactive rabbit hole I have ever seen. I currently have three dozen pages in OneNote, each filled with up to a hundred links and it never seems to end. I made a (what now seems like a lame attempt) to write 50 blogs in a row about Tom Vander Ark, but I only made it to #18. The timing could not possibly have been worse, as a slew of attacks on education threw my city and state, Youngstown, Ohio into a nasty tailspin. Nearly every single time something comes up in a conference, during face-to-face discussions, on activist group social media pages, in child-minded advocacy sectors, in our Ohio (Kasich-controlled) education policies, in other states’ education legislation, or in news articles that report yet another terrible turn in all the privatization plots, I successfully find Tom Vander Ark attached, perpetuating it all. And, fearfully, and unfortunately, he is twenty years ahead of us. I know not truly where to start to try and get folks to understand that he is foundation to all we fight. I want people to know and understand mostly that his ‘innovative’ ideas are WRONG! He has wronged the public for two full decades plus. HE IS WRONG in all that he has wrought. 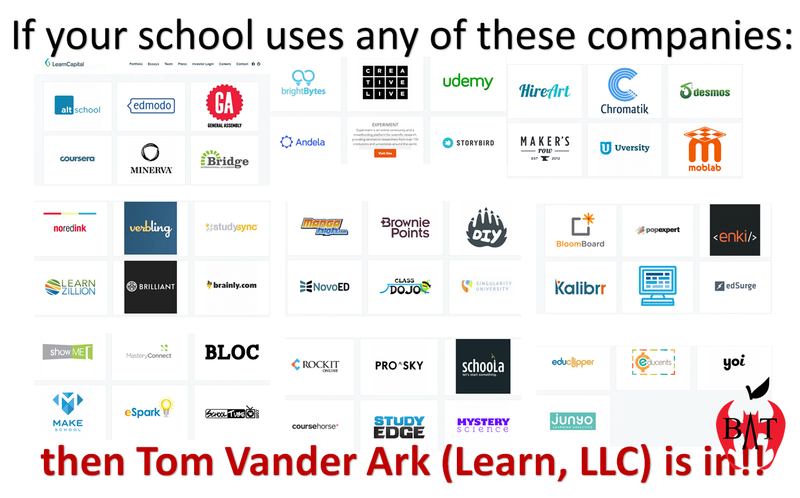 I challenge you right now to please take five minutes, and type in your current issue that you are wrangling with in your schools, along with TOM VANDER ARK’s name. And, you will almost immediately understand why I am losing sleep trying to get folks to see and understand the whole huge picture behind the renting of our precious public learning institutions. In a machine-like manner, he mangles and completely emasculates OUR SCHOOLS. BAT Blog allows work on the blog to be reproduced unaltered and asks that you cite us as the source. Awesome Inc. theme. Powered by Blogger.